“I invite you to a world where there is no such thing as time” declares Shinedown lead singer Brent Smith in the rock-driven “Her Name Is Alice” as a young girl’s voice intones such Carroll-esque statements as “What it wouldn’t be it is, and what it is it wouldn’t be. You see?” Statements like this make up the majority of this inspired pop-rock album with a collection of music assembled by Executive Producer Brad Malouf. Including such known entities as Avril Lavigne (whose track “Alice” serves as the end title song for Tim Burton’s new 3-D extravaganza Alice in Wonderland), Franz Ferdinand, Plain White T’s, The All-American Rejects, and Wolfmother, as well as individual members of bands – Mark Hoppus of blink-182, Pete Wentz of Fall Out Boy, and Robert Smith of The Cure, Almost Alice is a fairly star-studded affair. And though each group of artists was given free reign to explore “elements from the film and Lewis Carroll’s books to develop their own individual interpretations” this hour-long collection of music feels solidly grounded in central themes of strangeness and exploration. Overall, this is an enjoyable poppy album, but nothing too ground-breaking is ever presented. 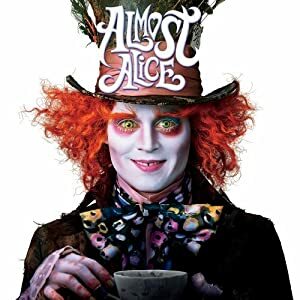 1 user commented in " Music Review: Almost Alice, Imaginative compositions brought to life by the fantastical world of Alice in Wonderland "
How many interpretations can be squeezed out of this “fairy tale” done by a man who was high as a kite at the time, every generation is updated with a new take on the same story as if each 20 years the little ones must be dipped in a fresh coat of pop culture paint. How about the “artists” come up with something new instead of rehashing the same old esoteric mumblings from drug addicts of the past, dont get me wrong I enjoy mumblings from drug addicts some of our greatest presidents were degenerates. How about we see an original thought come out of Hollywood or are they all so fried out there that they cant come up with something new?